Updated 2/19/10: I have changed my assessment of the possibility that Luke recorded the appearance to the 500. Originally I had argued that it was unlikely on the grounds that Jesus’ final appearance began indoors, and only then proceeded outdoors (thus the gathering had to be small). But it occurred to me that this conclusion fails to take into account the fact that Luke is obviously telescoping his account of Jesus’ resurrection appearances into a single appearance. The appearance recorded in Luke 24:50-51 cannot be a continuation of the appearance recorded in Luke 24:36-49, and thus there is no reason to believe the latter appearance began indoors (as the former appearance obviously did). How do I know Luke must be speaking of at least two different appearances, but telescoped them into one for his narrative? In Acts 1 Luke recounts Jesus’ final appearance and ascension from Bethany/Mount Olivet, providing much more detail than he did at the end of his Gospel. Luke declared that Jesus appeared to the apostles many times over a period of 40 days, after which He ascended into heaven (Acts 1:3-12). It is clear that the appearance in Luke 24:36-49 occurred the day of Jesus’ resurrection. If Jesus did not ascend until 40 days later, then the appearance and ascension recorded by Luke in 24:50-51 must have been separated from the appearance in 24:36-49 by 40 days. That means the appearance in 24:50-51 may have been instantiated outdoors, and thus it is possible that a group of more than 500 people could have been present. The text below has been updated to reflect my change of mind. Matthew records a very peculiar event in connection with Jesus’ resurrection appearances. He writes, “The eleven disciples went away into Galilee, into a mountain where Jesus had appointed them. And when they saw him they worshipped him, but some doubted” (Mt 28:16-17). It is highly unlikely that Matthew would have invented a story in which individuals who see the resurrected Christ for themselves still do not believe in Jesus. This comment, then, lends credibility to the historicity of Matthew’s report. But the question remains: Who doubted? Was it some of the 11 apostles, or members of another unidentified group? It’s unlikely that some of the apostles doubted. The “they” in verse 17 most naturally refers to all 11 disciples mentioned in verse 16, and thus it stands to reason that all 11 worshipped Jesus: when “they” (the Eleven) saw Him “they” (the Eleven) worshipped Him. The real clincher, however, is that we know this was not Jesus’ first appearance to the Eleven. His first appearance to them was in Jerusalem on the eve of His resurrection (Mk 16:14; Lk 24:36-42; Jn 20:19-23). Since that appearance convinced the Eleven that Jesus had risen, they cannot be numbered with those who doubted at Jesus’ Galilean appearance. Who were those that doubted, then, if it was not some of the Eleven? Most likely, they were members of a larger, unidentified group of witnesses that accompanied the Eleven to the mountain, all of whom were disciples of Jesus during His ministry. In fact, there is good reason to speculate that this was the epiphany Paul speaks of in 1 Corinthians 15:6 wherein Jesus appeared to more than 500 people at once. What is the basis for such speculation? An appearance to so many people at once would require an outdoor setting. A mountain would be an ideal location since it would be big enough, and it would be far enough from the populace so as not to attract the attention of the authorities. There are only two appearances described in the Gospels that occur outdoors that are not explicitly limited to a small number of people: Matthew 28:16-20 and Luke 24:50-51. I have already provided a reason to think more than just the Eleven were present at the Galilean appearance recorded by Matthew. But what about Luke’s account? Are there reasons to think the appearance of Jesus at Bethany involved more than just the Eleven? Yes. Luke recounts the same, final appearance of Jesus in the opening chapter of his Acts of the Apostles. 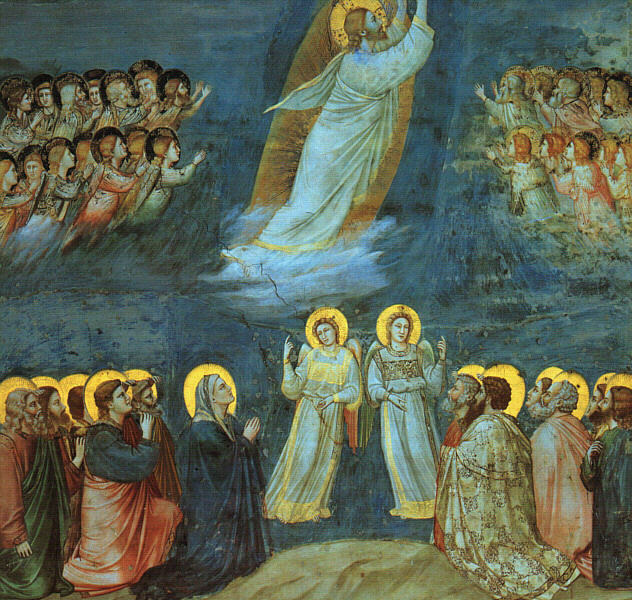 He makes it clear that the Eleven were present at Bethany/Mount Olivet to witness Jesus’ ascension (Acts 1:12-13), but more disciples must have been present because one of the requirements in choosing Judas’ replacement was that the individual must have been present with the disciples from the inception of Jesus’ ministry to His ascension. Two candidates were put forth, indicating at the very least the presence of two other disciples at the Mount Olivet appearance (Acts 1:21-23). If there were two, there could have been many more (since many of them would have been disqualified on the grounds that they were not an original disciple of Jesus who had accompanied Jesus and the Twelve throughout Jesus’ ministry). It’s plausible, then, that either Matthew or Luke has recorded the appearance to the 500. What reasons might we have for preferring Matthew’s epiphany over Luke’s as being a more plausible setting for the appearance to the 500? Matthew tells us Jesus had made known His intention to appear to the Eleven in Galilee to Mary, so the Eleven traveled to Galilee for the express purpose of seeing Jesus (Mt 28:10, 16). The epiphany recorded by Matthew is unique, then, in that it was by appointment. All the other appearances were unanticipated, including—insofar as we can tell—Jesus’ final appearance recorded by Luke. Given the fact that the Eleven knew where and when Jesus was going to appear, it is highly plausible that they invited a multitude of Jesus’ followers to accompany them to share in this amazing encounter, so that they too may see the risen Christ and believe. It is less plausible that a group of more than 500 believers just happened to have been gathered on Mount Olivet while Jesus appeared to them unexpectedly. Furthermore, we would expect to find a large group of Jesus’ followers gathered together in a location where Jesus spent a lot of time and could accumulate a large following. Given the fact that Jesus spent most of His ministry in and around Galilee, it makes sense to think the appearance to the 500 took place there. This might also explain why only 120 believers were present in the upper room at Jerusalem. Some of them did not believe according to Matthew, so they would not have come. Furthermore, if the majority of the 500 were Galileans, it would not be feasible for most of them to return to Jerusalem with the Eleven. Both the location and the apostles’ foreknowledge of the appearance make it quite plausible that the epiphany recorded by Matthew is the epiphany to the 500 recorded by Paul. If so, this answers the objection raised by critics that if Paul’s testimony were true, the appearance would have been mentioned by one of the Evangelists. It very well may have been, even if only implicitly. I was alerted to this possibility by a Christian scholar, but I have no recollection of his identity. If you know of someone who has made a similar suggestion/argument, please inform me of his name and the source so I can give him proper credit. This morning I was reading Harvard law professor, Simon Greenleaf’s harmony of the resurrection accounts that he penned in his 1874 work, The Testimony of the Evangelists Examined by the Rules of Evidence Administrated in Courts of Justice. To my surprise, he advanced this same theory. In fact, he mentions other exegetes of his day who held to this opinion. Surely there are many today who do as well, and I am simply ignorant of their identity. I gleaned a couple of additional insights from him as well. For example, Greenleaf points out that the “some” who “doubted” in Mt 28 could not have been the apostles because the appearance in Galilee must have taken place after the meal appearance recorded by Mark, Luke, and John. And since the apostles were convinced of Jesus’ resurrection by the meal appearance, they could not have been the ones doubting in Galilee. He also pointed out that since Jesus spent so much time in Galilee during His ministry, we would expect for an appearing to 500 people to take place in Galilee. That might also explain why there was only 120 on the Day of Pentecost: the 500 lived in Galilee and could not go back to Jerusalem with the apostles. I think I may edit the post to incorporate these points. does anyone have any idea where this appearance to the 500 might have happened? was it at Mt. olives do you think, do you think this could have also been the same time he did the ascension? If it is the same appearance as the one described in Matthew, then it happened on some hill in Galilee, not near Jerusalem. It would have been different from where He ascended from since Luke tells us He ascended from the Mount of Olives. Matthew Henry states the position described above. How are the group appearances of Jesus to the first Christian disciples any different from the group appearances of the angel Moroni to the first Mormons? There are far more differences than similarities between the resurrection appearances and the golden plates. Two of the Three Witnesses to the golden plates made it clear that they did not see the golden plates in the flesh, but with the eye of faith. Even Smith’s account in Doctrine and Covenants says they would see them “by your faith.” It was a vision, and all three had the vision at different times (and this took place after Smith had already began translating the plates, so why did they need to go to the forest and pray for God to show them the plates when they were physically in Smith’s possession? It’s because Smith knew the plates were not real. That is why they – or rather, the object claimed to be the plates – were always covered and no one was allowed to look at them. That is very odd if Smith wanted people to believe that they were real.). David Whitmer told multiple, contradictory versions of the story. One version says he saw them when an angel presented them. Another version says he saw them on a table, and still another version has him finding them in a field. We have similar evidence that the Eight Witnesses did not see the plates with their natural eyes, but only the eyes of faith. John Whitmer said the plates were shown to him “by a supernatural power.” One of the Three Witnesses, Martin Harris, even said publicly that the Eight did not see the plates, and only signed a testimony that they did after much persuasion to do so. All 11 of the witnesses either left the church or were kicked out. None of the Mormon witnesses gave their lives for their claims, and none suffered significant persecution for them either. They were family (blood or by law) or financial backers. In contrast, 11 of the 12 disciples were killed for their testimony that they saw Jesus alive from the dead and not a single one recanted. The appearance of Jesus was not in a vision, but in physical form. He could be touched. And Jesus didn’t just appear to family members or disciples, but even to skeptics and enemies. Additionally, there were multiple strands of evidence for the resurrection, including the empty tomb. To make the resurrection claims of Christianity comparable to the golden plate appearances of Mormonism, one would have to say that Jesus’ dead body was still in the grave, but believers in Jesus saw him alive in vision form. Furthermore, those believers later left the Christian movement to start their own or join other religious movements. The fact of the matter is that the claims are not equal, nor is the evidence for each claim. There are good reasons to doubt the testimony of the 11 witnesses, but not good reasons for doubting the testimony of those who claimed to see Jesus alive from the dead.